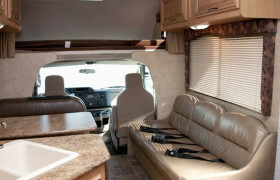 Looking for RVs in San Francisco? 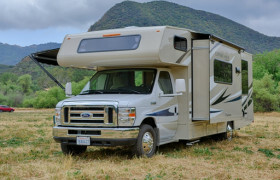 We review 21 local rv hire agencies. 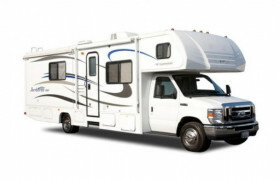 Below you will find the most up-to-date list of RV rental companies based in San Francisco. 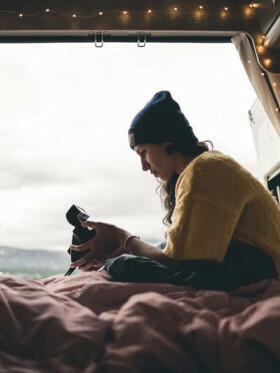 If you don't know a brand or location you want to rent from, then scroll down to the map at the bottom and choose that way. San Francisco is a beautiful city in a beautiful bay with beautiful people. It is hard to find a nicer city to visit in the US. 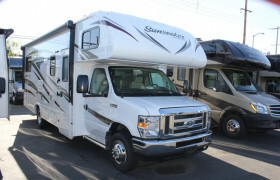 It also sits at the crossroads of many RV rental road trips going east-west and those going north-south. 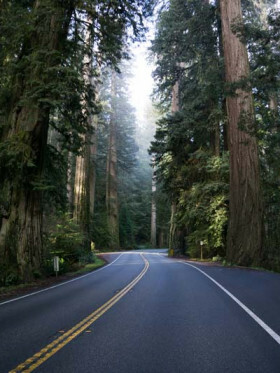 To the north the wilds of Northern California and Washington State (Seattle). To the south the bright lights of Los Angeles. To the east the beautiful Yosemite National Park, the rugged desert magnificence of Nevada and Arizona and of course Las Vegas party town. And for those who have been coming west, it is a final destination to relax before returning whence they came. 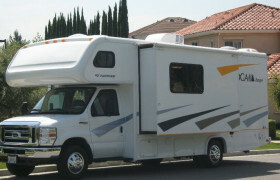 So it is no wonder that it is one of the busiest cities for RV rental across the US. 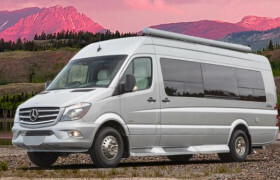 With a myriad of RV and campervan rental companies with depots here, it will not be hard to find a company that suits your style and budget. Planning to witness San Francisco’s steep hills and fascinating structures? The most ideal time to tour around the city is during autumn, from September to November. At this period of the year, you can enjoy the warm temperature without the influx of tourists. 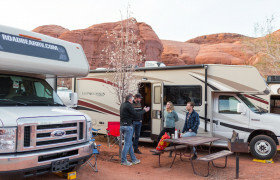 Another decent season for an RV vacation is during spring (March to May), where there are lesser rains and the milder climate. If you want to experience the promise of summer weather and festivities, then travel from June to August. San Francisco is nothing but a gem in the state of California. The city holds both wonders of the classical era and contemporary generation. 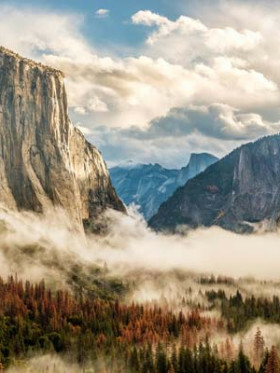 Though the city is internationally famed for its Golden Gate Bridge, there’s more to this world-wide attraction. 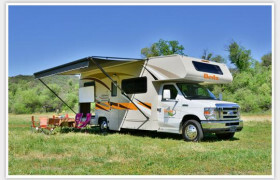 Rent an RV and explore AT&T Park, California Academy of Science, San Francisco Maritime National Historical Park, Golden Gate National Recreation Area, Muir Woods National Monument, and Point Reyes National Seashore. 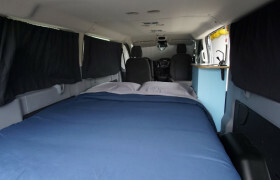 When in San Francisco, RVing must be coupled with trying some of the city’s most loved dishes and snacks. The list includes the Dutch Crunch rolls, juicy prime rib, tasty fish stew, clam chowder bread bowl, carne asada burrito, cheesecake, egg custard tarts, and chewy ice cream. If you want to dine out, you also have lots of options like Spruce, Octavia, Nopa, Boulevard Restaurant, Kokkari Estiatorio, Foreign Cinema, and La Taqueria. 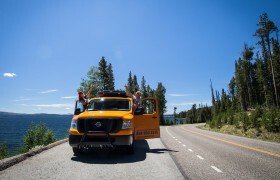 Bongo Buggies is a small company aimed at the budget and backpacker market, operating out of Southern California. 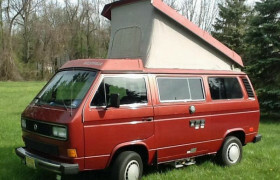 They only provide a couple of small campervans, all of which are in bright, orange hues. Offering rentals, service, sales, and parts since 1974, Happy Daze is a family-owned company in Sacramento that has already created a name in the industry, whether good or bad. Jucy USA are known for their iconic green and purple pop-top vans. A simple offering loved by budget campers around the world. They have 3 locations in the USA. 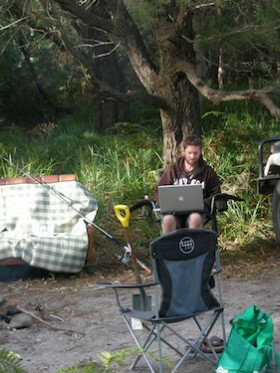 Lost Campers offers a more compact option for the lighter and budget traveller. 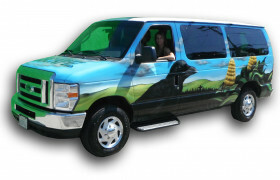 They have locations in San Francisco, Los Angeles & Salt Lake City. 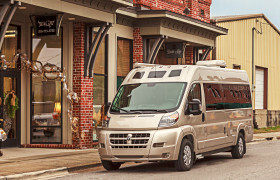 Another addition to the booming Mcrent rental ventures, McRent USA takes their fleet from a partner company that offers Coachmen, Hymer, Roadtrek and Winnebago RVs. 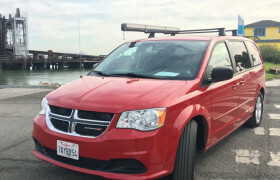 With the desire for outback adventure and conservation of nature, Pacific Overlander offers heavy duty 4x4 vehicles for renters to explore the San Francisco. 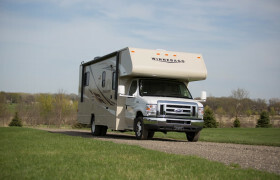 Simple, compact, furnished― that's something that Village RV focuses on. 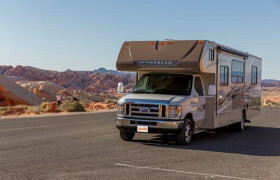 Their privately-owned motorhomes and travel trailers cater the budget market and provides rentals for small to large groups.